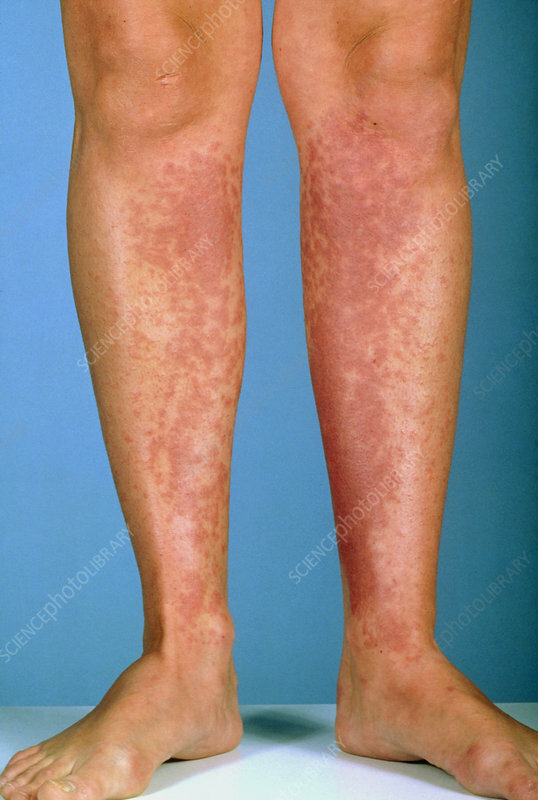 Dermatitis due to shaving foam, showing a rash affecting both of a woman's lower legs. Dermatitis is a term used to describe the inflammatory reactions of the skin to external injury, as described in "industrial" or in "contact" dermatitis. The term eczema has a similar meaning but is applied to cases of systemic or constitutional dermatitis which result from endogenous causes. Sensitivity to plants and woods accounts for many instances of dermatitis worldwide. Some plants release their allergenic substance when bruised, others when lightly touched, and others by airborne pollen.